Thousands of festivals take place every year, especially in the tourist season. 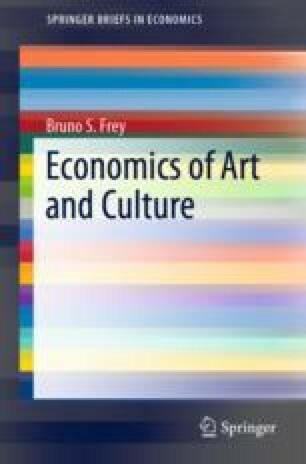 The boom in music festivals poses a challenge to art economists because of the glaring contrast with the serious financial problems faced by theatres, opera houses, and orchestras with fixed venues. Festivals attract new groups of consumers. For tourists, attendance at festivals is a small proportion of total holiday expenditures, and demand people are not driven away by higher entry prices. Festivals benefit from the support of business which benefit from the media attention produced. They have lower production costs, offer more opportunities for artistic creativity, and are less restricted by regulations than are fixed venues. However, these advantages are unlikely to persist in the future.